These would be so cute decorated in colors for any holiday. These were very simple to make as I used froze Otis Spunkmeyer sugar cookie dough. I baked them according to the directions. The template for the stencil for the Mickey Mouse ears is located here. 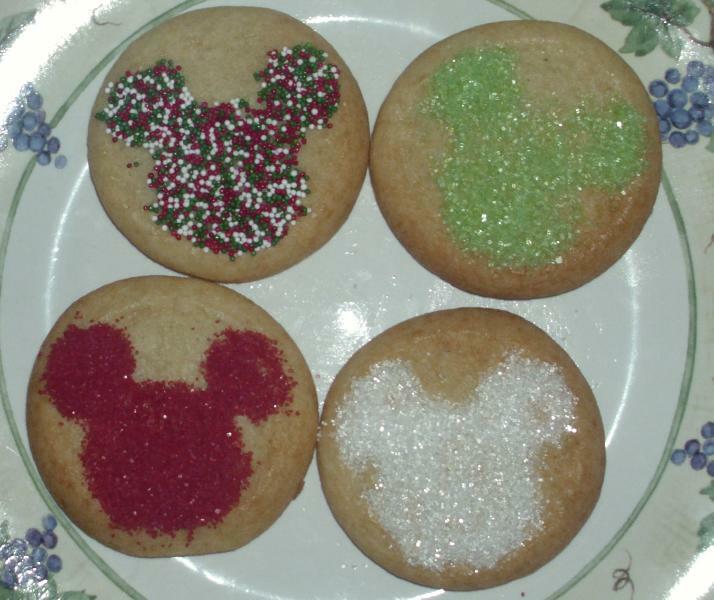 I used different types of sprinkles for the stencils.